The wonderful Chris Paris asked me to design a new logo for his Psych Funk outfit ‘Sarah Tonin’. The brief was to make a darker psychedelic logo in the vein of Trip or Freak and 13th Floor Elevators. It was painstakingly hand inked to keep with the authenticity of the theme. Could You Really Love Me? Wooooh!!! Steve Mason (Ex Beta Band, King Biscuit Time, Black Affair and now Steve Mason the artist) has just released the amazing ‘Monkey Minds in the Devils Time’. Later in the year GrowABrain will be providing some visuals/projections for the bigger shows in late summer. 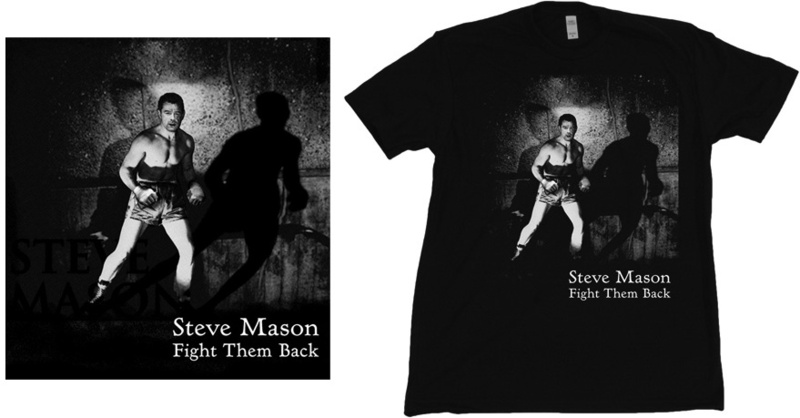 I proposed this Tee design which depicts Steve as a Film Noir Shadow Boxer, its how I’ve always seen him. Steve will be playing all the major festivals this summer, don’t miss it! ‘Monkey Minds in the Devils Time’ a Buddhist term for an easily distracted mind. NEW WEBSITE & Artsprojekt Store!